In the microservices landscape, the API provides an essential form of communication between components. To allow secure communication between microservices components, as well as third-party applications, it’s important to be able to consume API keys and other sensitive data in a manner that doesn’t place the data at risk. Secret objects are specifically designed to hold sensitive information, and OpenShift makes exposing this information to the applications that need it easy. In this post, I’ll demonstrate securely consuming API keys in OpenShift Enterprise 3. We’ll deploy a Sinatra application that uses environment variables to interact with the Twitter API; create a Kubernetes Secret object to store the API keys; expose the secret to the application via environment variables; and then perform a rolling update of the environment variables across our pods. Create a route to your application, and list the route in the terminal. If you navigate to the application’s URL, you’ll see that it’s up and running. However, any searches return the error “Unable to verify your credentials”, as shown below. Time to grab some API keys! 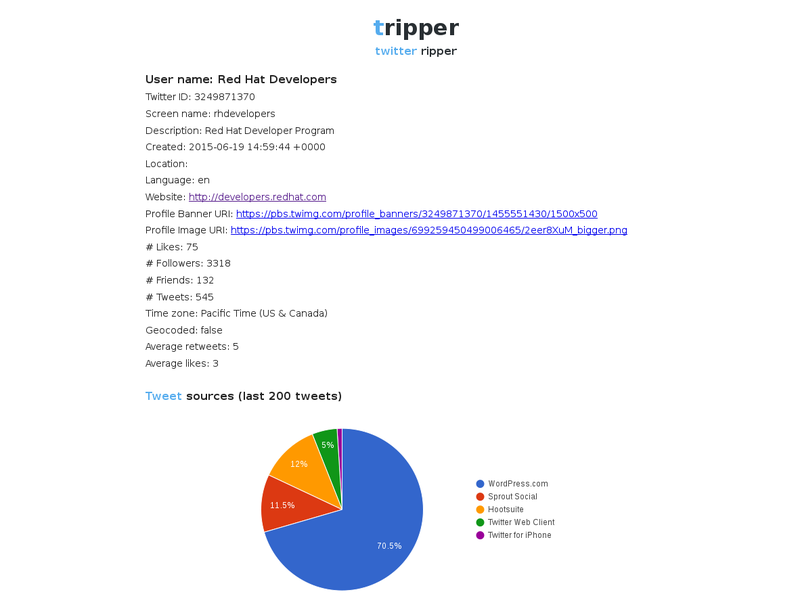 Our application is deployed and running, but it can’t access the Twitter API without any keys. To get a key, navigate to https://apps.twitter.com, and sign in using your Twitter account (create one if required). Select “Create New App”, and give your new app a name, description, and website. You can use a place-holder such as www.example.com for now if you don’t have a domain name for your app. Read the Twitter Developer Agreement, select the checkbox, and then select “Create your Twitter Application”. Once your application has been created you will be redirected to the application management page. Click the “Keys and Access Tokens” tab to view your API keys. You’ll see two keys listed on this page: the consumer key, which identifies your app to the Twitter API, and the secret, which grants your application access. For now, just leave this page open, and we’ll create a Kubernetes Secret object with this data. We can use a YAML file to create the Secret object that will hold our API keys. Our application is expecting the Twitter API consumer and secret keys to be available in environment variables. To deploy the secrets via environment variables, we need to edit the deployment configuration for our application. Firstly, we need the name of the deployment configuration. And that’s it! Once you save and exit the deployment configuration file, OpenShift will automatically perform a rolling update of the deployment. Once the update has been performed, you can navigate back to your application see that it’s now able to interact with the Twitter API.